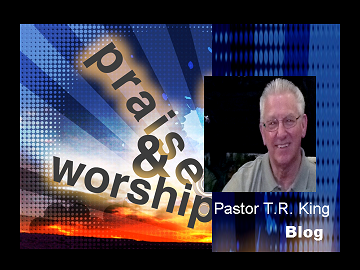 Bethel Assembly - Pastor TR's Blog. Having pastored over the past several years, I am sensing the winds of the Holy Spirit blowing across Bethel. 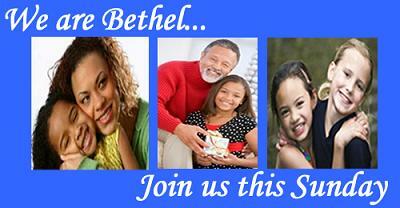 There is an excitement in the air and a sense of expectancy with the folks who call Bethel their church home. Jesus told us He would build His church and we are witnessing this happening at Bethel! A few years back, the local church was the “hub” of activity in the community. Folks had a great love for their church. No doubt, we are seeing this again. People are talking more and more about their church and expressing their love for it. I LOVE MY CHURCH is being heard more and more each week. Expressions of love of other people, love for the events that bring forth the Gospel, love for the church leadership are all signs that good things are taking place at Bethel! What a glorious time to be part of the family of God. We find it hard to wait for the next activity at the church. From Royal Rangers and Girls Club on Wednesday, to Youth on Sunday evening or any other event, the excitement unfolds as folks love their church! Over the past couple of years the Holy Spirit had dealt with Linda’s and my heart to begin a healing school. Even though we had this stirring in our heart, it wasn’t until Linda experienced a stroke that we knew we needed to begin this class NOW! On January 9, 2013 we began the first class and designated Wednesday evenings as HEALING SCHOOL. We began with basic understanding of who God is and our relationship with Him. God is good, never bad, He does not put sickness and disease on us to teach or discipline us or for any other reason, it’s His will that we be healed are just a few of the things that were taught from the beginning. It may be that we will need to “disconnect” from some of the things we heard and believed about healing in the past. Because we don’t see everyone healed we assume that God heals some and not others. There are two serious flaws in this type of believing. First-assumed knowledge is the lowest form of knowledge known to mankind. We all get into trouble when we try to live on assumed knowledge. In II Peter 1:2 we read; Grace and peace be multiplied to you in the knowledge of God and of Jesus our Lord, Its imperative we KNOW and not assume. Second, when one believes that God heals some and not others, that individual will never be healed. We see each time that Jesus ministered to those who came to Him for healing, He healed them all. We must see ourselves as God sees us and that is healed. If we believe God only heals certain ones, there is no faith to receive our healing. Its amazing how time seems to go by so quickly. There are moments when I think back to the days when life seemed so much simpler and even slower. Everything is more complicated than it was just a few years ago. As for me, my cell phone now two years old needs upgrading, my computer now 5 years old is showing signs of dying and people all around me have I-phones, I-pods and I-pads, while I have none of these. I am hesitant to “upgrade” as with all the increased technology, it becomes more and more difficult to learn and implement these new devises. About the time I am very comfortable with what I have, its time for an upgrade. We know from Daniel 12:4; “…many shall run to and fro, and knowledge shall increase." (NKJV) but I don’t think any of us realized just how fast this would happen. After purchasing a new phone or computer it become obsolete within a few months, if not a few weeks. Some one has said, “because things are the way they are, things will no stay the way they are.” How true! Two scriptures I hold fast to are Philippians 4:13; I can do all things through Christ who strengthens me. ; and Psalm 37:25; I have been young, and now am old; yet have I not seen the righteous forsaken, nor his seed begging bread. It is now time to place all our confidence in the Lord. As things continue to change all around us, He is the only one that does not! I’ve rolled this around in my mind again and again thinking about people who do not know the Lord. Each day is filled with new challenges. There is places to go, people to see, deadlines to meet, obligations that must be met, unrest in the world, financial crises surrounding us and the list goes on an on. I’ve often wondered how people face a new day all by themselves. Without the Lord in their lives, it would seem that their life would have no point. (13) No, dear brothers and sisters, I have not achieved it, but I focus on this one thing: Forgetting the past and looking forward to what lies ahead, (14) I press on to reach the end of the race and receive the heavenly prize for which God, through Christ Jesus, is calling us. We all know we’ve not arrived, but we sure have something to look forward to everyday. The prize that is set before us! When you know the Lord, life does have a point! Ever found it difficult to make a change? Perhaps in the changing of employment, or geographical locations, or even changing your schedule? I think most of us would say, change can be difficult. Change is enviable, without it, we die. Everything that is alive changes. Life all around us is on the move, changing. The days of “Andy Griffith in Mayberry” existed at one time, but now that time is gone forever. I wish we could revert back to those days, but the world has moved on and we all are finding it difficult to keep up with it. We now live in what I call the Google Age. The church is no exception. In order to move forward and remain alive, we all must change. Change the way we think, talk and act. Our message never changes, but our method of delivery does. We are trying to reach a new generation and if we are very far out of step with them, we will fail. Jesus had some very unusual ways of reaching people, but the number one thing we need to recognize, He met them just where they were. The woman at the well, the blind man setting beside the road, in homes or the synagogue, He was straight forward and to the point. There were no “Christian evaluations” before He ministered to them. He didn’t ask about the 4 Spiritual Laws before He reached out to them. There was a need and Jesus responded to it, meeting people in their hurt and pain. <?xml:namespace prefix = o ns = "urn:schemas-microsoft-com:office:office"> Perhaps we need to change the way we view ministering to others. It will require some effort on our part to not ask “ are you saved,” “do you attend church,” “do you know the Lord?” These are great questions, just ones that should not be asked to prequalify our willingness to minister to others. People are not as interested in hearing how much we love them as they are in how much we show them we love them. For the past several weeks I have been teaching on the subject of forgiveness. Just as with any teaching, it requires several hours of research, study and preparation. I have found this topic to be one without end. In my studies I’ve learned that many saints are going through some very unnecessary difficult times as they are harboring unforgiveness. It has opened the door for the enemy to invade their lives and reek havoc. Its vital that we all check our lives and make sure we have forgiven everyone. It can stop the enemy from holding us hostage. From the day I accepted Jesus, I began to develop a love for His church. Over the years, that love has grown deeper and stronger. During the first two years of my salvation experience the Lord began to speak to my heart about a pulpit ministry. Reluctantly, I responded to that call and found that the love for His church took on an entirely new meaning. Today, I pastor a growing congregation in Suffolk, VA and have to say, I ♥ My Church! Just like any other church, Bethel has its challenges, but it is a great church filled with amazing people. Their love for the Lord, for me as their Pastor and love for their church fills my heart to overflowing. I thank God that He has called me and placed me in the ministry as a pastor. And yes, that love for His church continues to grow! Best day... If there was one defining moment in your life, one that changed you forever, what would it be? You are probably thinking, “the day I accepted Jesus Christ!” Well, that should be a given! No doubt that was one that changed you (and me) for all of eternity. Let’s move away from the spiritual aspect for a moment and think totally carnal. What was the one thing that you have seen, had happen or you did that was the “never the same” moment for you? I’ve heard various things from many Saints. Some said an accident, some a close call with death, while others said the day they received their degree (whatever that means). Here is mine, and it’s not as earth shaking as one might expect, but by life changed then and continues to change today. It was August 5, 1966, the day Linda said “I do” and we became Mr. and Mrs. T.R. King. That was more than 45 years ago and today, she is still the love of my life. Together, we have raised two boys (she says three if you count me), lived in three states and pastored five churches in our years together. She is my helpmeet, my friend, my partner in ministry and the love of my life. Ya, August 5, 1966 was the defining moment in my life! What’s yours? We are well into 2012 and the world seems to be going down hill day after day. Politicians are making empty speeches, employment is as high (and in some locations higher) than during the Great Depression and gas prices climb by the hour. If we focus only on what we are hearing over the air-waves, we will be most miserable. For those in the Body of Christ, be encouraged! The Word of God is filled with His promises for times just like this. The words “be not dismayed; be of good courage, overcome and overcomer” are found all through the Bible. In this hour, it is an awesome feeling to be able to say, I ♥ My Church I love the sense of security I have being part of a local assembly. I love the fellowship I have with all the other saints. I love the strength I draw from all those around me. It makes life exciting, dispelling all the fear and anxiety we have coming at us everyday. As you read this, I trust you have found the same in a local church. If not, ask God to lead you in finding the right place He has for you. It will change your life when you can say without reservation, I ♥ My Church.